Providing you the best range of lava plus bio pesticides, bio larvicides and fighter plus with effective & timely delivery. We are the leading manufacturer and Supplier of Bio-Pesticides and Bio-Larvicides. 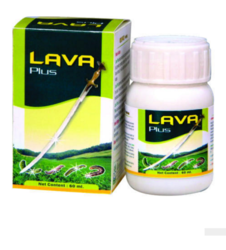 Lava Plus Bio-Pesticides is all types Larva Killer In all crops. This product is highly effective and control at any stage of all crops. Recommended crops: For All types of horticulture, field crops and Vegetables, cotton crops, Brinjal etc. Content: Fatty Acid and salt of Alkaloids with the mix of wild plant oil. We are the leading manufacturer of Bio-Larvicides. Bio-Pesticides is all types Larva Killer In all crops. This product is highly effective and control at any stage of all crops. To control all types of larva, army worm, boll worm, root worm, pink ball warm and Heliothis, Spodoptera etc. 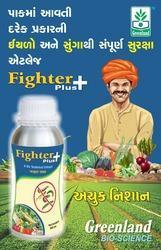 For All types of horticulture, field crops and Vegetables, cotton crops. Dose- 20ml/15ltr of water and use in all crops.